Does this Tattoo Make My Résumé Look Bad? When training to be a police officer, I never thought I might need Charles Darwin to back me up on a policy matter. Yet here I am quoting the English natural scientist whose theory of evolution created quite a debate back in the 1800s. Darwin could not have known that modern police departments and local politicians are not necessarily concerned with whether cops have evolved from tadpoles. They have far greater worries such as the popularity of tattoos. During a conversation with a local politician, I began to grow uncomfortable as we discussed the “look” of police officers with tattoos. “It doesn’t look professional,” he said. I knew where he was coming from. Traditionally, in this line of work, tattoos have been looked at with some scorn. They suggested potential rebelliousness and thus became a taboo choice. In the modern military culture, tattoos have become very popular among men and women. My sense is that in a culture of so many rigid rules and restrictions, tattoos are one form of personal expression they can embrace without fear of penalty. Their choice of style and placement of the tattoos might also have a special meaning. Not that there aren’t guidelines. The military is strict about these tattoos and their meanings. Obviously, extremist or racist tattoos are a no-no. And don’t you dare think about a tattoo on your face for God’s sake. Another attractive thing about tattoos in the military is that you can be discrete about placement of your tattoo, meaning it may be covered and unseen until you take a shower. But here’s the next big issue: after military careers are over, these veterans often look at policing as a viable career. So where does that leave my local politician? I had to ask. “While serving in the military, they are good enough to die for me and you, to protect our freedoms, right? The silence was deafening. You could have heard a pin drop. I supposed I could have said, Gotcha! But that’s not cool. I’d made my point, and we both knew it. Too many politicians glorify our brave military to merely stir patriotic feelings within their constituents. Okay, I get it. But after glorifying this country’s warriors, you darn well better let them join local police departments, fire departments, or any other local government division regardless of whether they have a Koi fish, someone’s name, or military unit painted on their forearms. Because we need them, tats and all. The men and women in the military bring an enormous amount of life experience, discipline and maturity to their post-military endeavors. They have become remarkable business leaders and security experts. Compare that to a college graduate whose skin is pure but they have yet to be marked by the hard knocks of war and peace. If tattoos are a generational thing for the most part, policies are a changing landscape. As a result, tattoos are much more common. Arms sleeved with amazingly creative tattoos is now a normal thing, a style choice, a personal expression. But not an indicator of poor character. A few years ago, the U.S. Navy eased its tattoo policy to recruit more sailors after statistics revealed that one out of three individuals now sport some type of tattoo. As staffing issues loom throughout this nation’s police departments, we must embrace the fact that 37 to 40 percent of people aged 18 to 25 years old boast a tattoo. That is a substantial number of people to remove from the hiring pool. And for what? Because they like a little ink on their skin? It’s time for a Tactical Reload on this mindset to keep finding and keeping the best recruits. Personally, I would rather work beside a disciplined and effective police officer who sports tattoos on both arms, than go shoulder-to-shoulder with an immature and inexperienced officer with a bachelor’s degree in criminal justice. For the record: some of the smartest, most capable people I know have tattoos. Now, maybe my great-grandmother wouldn’t approve, but then she didn’t like Elvis Presley because his swiveling hips suggested the devil. But stuff changes. Just ask Darwin. 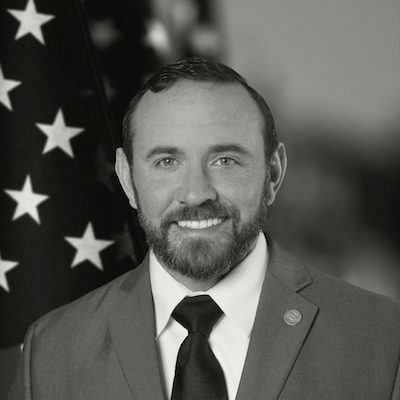 Adam Wilson, author of Tactical Reload: Strategy Shifts for Emerging Leaders in Law Enforcement, is a highly decorated 14-year law enforcement veteran who was recognized in 2018 by the National Association of Police Organizations that sponsors the annual TOP COP Awards® for his handling of a human trafficking investigation in North Carolina. He has served as a SWAT senior operator and is trained to carry out specialized, military-style tactics in confrontations with violent criminals. He also collaborated with federal authorities in cases involving public corruption, sexual exploitation of minors and corrupt organizations. Concurrently, he served in a street crime unit that safeguarded against illegal guns, gangs and drugs. He has received five commendations for outstanding service and is a two-time winner of an Exceptional Service award. Wilson, who earned a master’s in Criminal Justice and is pursuing doctoral studies, is an E.A. Morris Fellow for Emerging Leaders in North Carolina and was appointed to the state Human Relations Commission by former Governor Pat McCrory.